Blog What Are The Advantages Of Hydroponics? What if I told you there was a way to grow plants quicker, larger and using only 5% of the water normally required. Most people would assume this is impossible. And yet, hydroponics allows you to do just this. Hydroponics is a technique for growing plants without soil, using only water, a nutrient solution and a medium to hold the plants in place. Although various forms of water culture have been practiced for several thousand years, it is only in the last 100 years that the science behind hydroponics has been more fully understood. This has enabled both domestic and commercial growers to cultivate plants in new ways that have particular advantages and disadvantages. This article will tell you all about the positive aspects of hydroponics which have undoubtedly led to the rapidly increasing market for hydroponic cultivation. Hydroponics is part of a broader drive to increase agricultural efficiency, yield and decrease cost of food production. Domestic hydroponics has developed close behind this, with a growing number of enthusiasts growing all kinds of plants at home. Read on to discover some of the most attractive features of hydroponics. Plants growing hydroponically require 20% less space than plants grown in soil. This means you can grow more plants in a defined space, or can grow plants in very small spaces where it would not be practical to grow soil based plants. This has dramatic implications for the farming industry, where many plants are grown in costly indoor greenhouses, where efficient use of space is essential to achieve a good return on the investment. The main reason is that hydroponic plants require less space than soil grown plants and the roots do not have to spread out within soil to search for nutrients and water. Water and nutrients are delivered to the roots directly, either intermittently or constantly, depending on the individual hydroponic technique. Roots are more compact as a result, and can grow closer together. Because less space is needed, growers can produce significantly higher yields, with less infrastructure. The idea of growing produce without soil was once a foreign concept, but is now a reality for both domestic and commercial growing. Growing plants without soil has a number of benefits. There is wide variation in soil quality from one location to the next, and many plants have strong preferences for a particular soil type. If you do not have this soil type available, it can be expensive and labor intensive to import suitable soil or modify your existing soil. There are even a number of locations across the globe that don’t have access to soil, or where land is limited. One of the first commercial hydroponic farming operations was on Wake Island in the Pacific. This is a rocky atoll, which does not have any soil suitable for growing plants. This island was used as a refuelling stop for Pan American Airlines in the 1930s. It would have been prohibitively expensive to import fresh produce, so hydroponics was successfully used to grow the supplies required. Other countries with limited arable land, such as desert or rocky regions would no longer be restricted by how much they can grow. This is a motivating factor for a transition to hydroponics, which is largely why its being considered the farming of the future. The possibilities for cultivation are greatly increased in these locations. They can reduce the need for the import of fresh produce and can reduce water consumption, which can also be an issue in many countries. Hydroponic Plants can grow with just 5-10% of the water that’s need when growing with soil. This is of enormous benefit in areas with scarce water resources and is a major environmental benefit of hydroponic cultivation. Hydroponics capitalizes on recirculated water, where plants absorb what they need, and run-off is captured and returned to the system. The only water that’s lost is from leaks and evaporation, but an efficient setup will minimize these if possible. 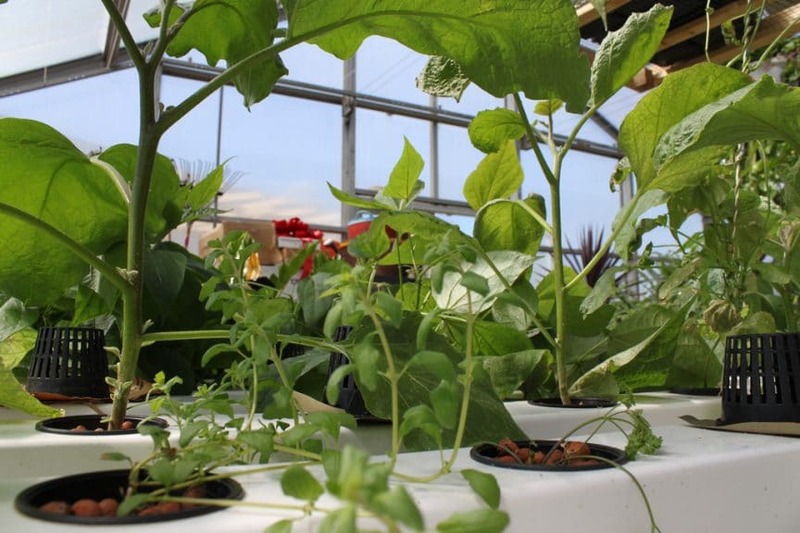 Some hydroponic systems are using even more technology to reduce water waste even further. The reality is, that of all the water that plants take in through their roots, 95% of this is transpired into the air. As a result, some commercial hydroponics systems are using water vapor condensers to recapture this water and return it to the system. Global food production continues to increase year on year, and is consuming more water than ever before. Unless we utilize technologies such as hydroponics to enable more sustainable agriculture, we are endangering the environment of our planet. Hydroponic environments provide total control over climate. You can adjust temperature, light intensity and duration, and even composition of air, all in accordance with what’s necessary for optimal growth. This creates an avenue to grow produce regardless of season, meaning farmers can maximize production all year round, and consumers can access products whenever they desire. What’s surprising about hydroponics is the capacity for growth. You’d assume that hydroponics would lead to lower yields, but the opposite is true. There is scope to grow faster than with soil, facilitated by an ability to control temperature, moisture, light, and nutrients. Creating ideal conditions ensures plants receive the perfect amount of nutrients, which come in direct contact with roots. Plants consequently need not waste valuable energy looking for diluted nutrients in the soil. Instead, they can shift their attention onto growing and producing fruits, resulting in a better growth rate and larger plants. PH levels are occasionally overlooked by growers, but it is a crucially important aspect of cultivation which ensures that your plants can access appropriate quantities of the nutrients they need for healthy growth. Unlike growing plants in soil, essential minerals for growth are fully contained in the growing solution. The pH of this solution can be adjusted easily and measured accurately to ensure that an optimal pH is maintained at all times. Ensuring optimal pH will enhance a plant’s ability to uptake essential minerals. If PH levels vary too much, plants lose the ability to absorb nutrients. Although some plants thrive in slightly acidic growth environments, pH levels should usually range from 5.5 -7. Growers would be wise to research optimal PH levels for the plant in question, and consider how hydroponic growth allows for effective regulation. Weeds are time consuming to remove from soil and can impact the growth of the plants you are cultivating. With hydroponics, they are no longer an issue. Similarly, soil-borne pests are not a problem. As a result of the soil free environment, most hydroponic growing systems do not require pesticides, which can make the produce more healthy for human consumption and prevents the problems that pesticides can cause to the environment. In a closed system of hydroponic cultivation allows you to more easily take control of surrounding variables. Although the setup costs of a hydroponic system are undoubtedly more expensive, either for domestic or commercial use, the labor involved in cultivating plants is considerably reduced. This frees up time to focus on other activities, rather than tilling, hoeing, plowing, and so on. It can also decrease the running costs over time, although this depends on the system in question. Whether using a simple hydroponic system to grow a few tomatoes on your windowsill, or running a commercial hydroponic far, you can eliminate a major cause of uncertainty in the growing of plants. As most hydroponic plants are grown either indoors or in greenhouses, and all the water and nutrients required are provided manually, you eliminate the uncertainty that comes with unpredictable weather. Even sunlight doesn’t have to be a concern, as artificial grow lighting can replace or supplement sunlight. Using artificial grow lights can enable you to grow plants all year round. Personally, I use LED grow lights to help me cultivate tomatoes and salad greens all year round. It’s hard to beat fresh salad whenever you need it. I developed an interest in hydroponics as a hobby a number of years ago, and I absolutely love it. You can start growing plants with hydroponics for very little upfront cost. There are loads of DIY and pre-built systems that you can use, and it is really scalable. You can start by growing just one or two plants on your windowsill. This was how I started and I helped my to learn a lot about what plants need to grow and thrive. You can scale things up from there and there is really no limit to how far you can take this hobby. 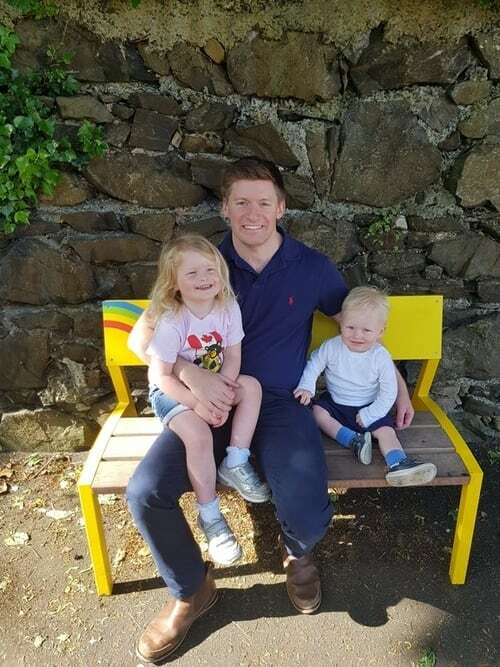 Although I enjoy outdoor gardening too, I love having greenery in my house and it is so rewarding to grow vegetables and salad greens all year round that I can use to feed my family. Hydroponics is on the rise, and in 2015 its global worth was estimated at around $21.4 billion. There are huge global changes on the horizon, which are set to accelerate the growth of this farming method. These changes will be introduced out of necessity, to accommodate a rapidly expanding global population. We already use a large proportion of available land for raising crops, so new farming techniques must be developed to increase yields or to make other land suitable for growing crops. 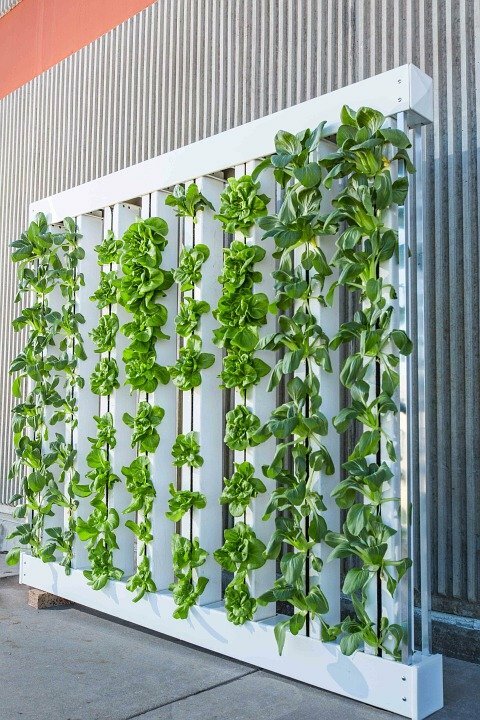 Vertical urban farming is a prospective farming method that solves the issue of insufficient space, and works really well with hydroponics. Though hydroponics is receiving significant media attention, many are left wondering whether it is a commercially viable practice. I suppose the short answer is yes, as evidenced by the large commercial operations in operation today. Hydroponic farming is considered expensive due to elevated overheads, but there are a few ways to keep costs down. Stacked rack systems are a great example of cost cutting initiatives, but these can inhibit air flow, humidity, and heat. It is a reasonable option to explore if cost is a prohibitive factor, but you might end up wasting time sourcing parts and testing configurations. Growers are sensible to harness LED lighting technology, with enough PAR value to maintain healthy production. Though high PAR lights cost more initially, you’ll recover your investment by growing high-yielding crops, produced in shorter cycles. Ultimately, it all depends on the nutrient solution. When vegetables receive the nutrients they need to grow effectively, hydroponics can produce food just as nutritious as when grown in soil. Marion Nestle, professor of nutrition at New York University, believes hydroponics has come a long way, claiming the nutritional content of leafy greens grown hydroponically fall well within normal limits, and are sometimes even higher! The mineral content of plants can vary depending on the nutrients used, but all evidence so far is that plants grown in this way are at least as nutritious and healthy as those grown in soil. What’s convenient about hydroponic growth, is the ability to enhance a plant’s nutrient levels by adding what’s needed to the solution. You can essentially add whatever is needed, whether calcium, zinc, iron, or magnesium for example. The ability to regulate nutrient concentration in this way creates a scope to grow nutritionally superior plants. It’s important to remember, there are various external variables to consider, regardless of growing method, including time of year harvested, how long after harvesting crops get eaten, and how crops are handled. Nutrient content varies depending on these factors, but the bottom line is that hydroponic growth can produce as healthy, if not healthier food than conventional methods. Although this article has focused on the advantages of hydroponics, there are a number of negatives to consider. However, the fact that the market for hydroponics is growing so rapidly is probably sufficient proof that it is a viable cultivation technique worthy of consideration. If you want to get into growing hydroponic plants at home, this website has loads of useful information to help you. 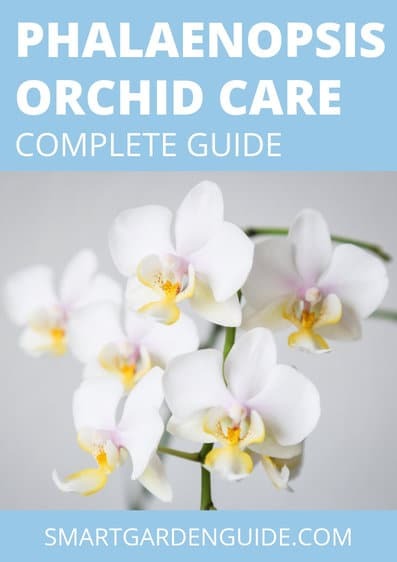 Why not start with my guide to the different types of hydroponic systems. Let me know in the comments section about your experience of hydroponics or if you have any questions, I’ll do my best to answer them.